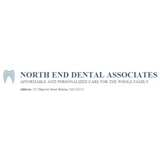 North End Dental Associates (Boston) - Book Appointment Online! At North End Dental Associates, we use the most up-to-date technology to help our patients' achieve their desired smiles. In addition to orthodontic ( teeth straightening) and restorative services, we perform a wide variety of cosmetic procedures such as veneers and teeth whitening.